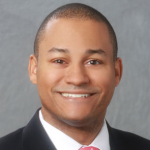 ST. LOUIS, MO, APRIL 16, 2019 — INROADS, Inc. today announced that Sekou Kaalund, Head of Advancing Black Pathways for JPMorgan Chase, recently joined its National Board of Directors. INROADS is a national nonprofit organization dedicated to developing and placing talented but underserved youth in business and industry, and preparing them for decades of corporate and community leadership. This board position will allow INROADS to leverage Kaalund’s keen leadership abilities and years of financial industry experience to help develop and advance a new generation of leaders. For more than 40 years, INROADS has helped businesses throughout North America gain access to ethnically diverse talent by placing students from communities of color in internships at top corporations and organizations. Kaalund says this history aligns with his goals as Head of Advancing Black Pathways at JPMorgan Chase, where he is leading an initiative aimed at providing better access to education, job training and career opportunities for people of color. Kaalund will serve on INROADS’ National Board of Directors for a three-year board term, working with the board member team to advance the organization’s mission to support and develop talented youth across the nation. Kaalund’s career began at the Federal Reserve Bank of New York, where he was a Commissioned Bank Examiner. He went on to Citigroup and served in leadership roles that included Head of Strategy for the Securities and Funds Services Group as well as Head of Strategic Initiatives for the Consumer Lending Group. Later, he joined J.P. Morgan as Managing Director and Global Head of Sales for Private Equity and Real Estate Fund Services. Kaalund previously held positions in J.P. Morgan’s Corporate and Investment Bank as well, including as Head of U.S. Pension Fund Coverage and as a senior relationship manager for some of the bank’s largest asset management and hedge fund clients. In addition, Kaalund has been honored numerous times in recent years for contributions to the community. He was honored by the All Stars Project in 2017 for leadership and community impact, and by the Council of Urban Professionals in 2015 as a Catalyst and Change Agent in Finance. The Harlem YMCA also honored him as a “Black Achiever in Industry” in 2012, and the Boys and Girls Club of America inducted him into its Hall of Fame in 2011. In addition to serving on the INROADS Board, Kaalund’s previous board commitments include Duke University School of Public Policy, the Public Policy and International Affairs Program, New York City Parks Foundation, and the Council of Urban Professionals (CUP). He is also a member of the Executive Leadership Council, which is committed to advancing the role and contributions of black executives. For more information about INROADS, its programs and how to become connected to the nonprofit, visit www.INROADS.org. Founded in 1970, INROADS develops and places talented underserved youth in business and industry, preparing them for corporate and community leadership that affects community renewal and social change and elevates economic status and quality of life. INROADS has placed students in over 135,000 paid internships throughout its history, and graduated over 28,000 alumni into full-time professional and leadership positions with over 1,000 corporate partners. Currently, INROADS serves nearly 1,300 interns and 200 corporate clients. Learn more at INROADS.org and connect with us on Facebook, Twitter, Instagram and LinkedIn: @INROADSInc.